I have all sorts of news to catch up on here but I’ll keep the message short & sweet so the photos can tell the story. There have been a lot of articles coming out on the recent NSXPO in San Francisco, but I’m particularly pleased with how this one came together. 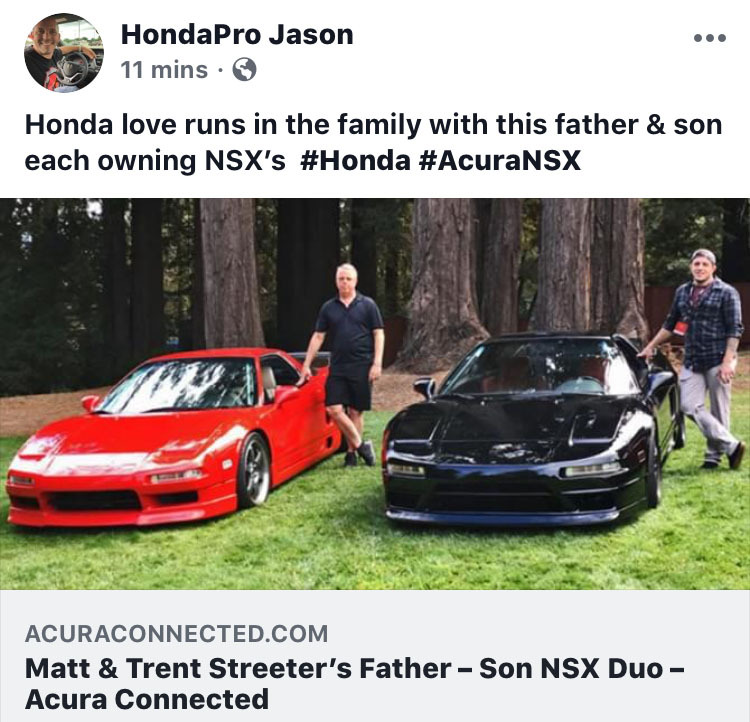 I wrote a short piece on a father & son from Tucson, Arizona who both own NSXs. It’s here on AcuraConnected. 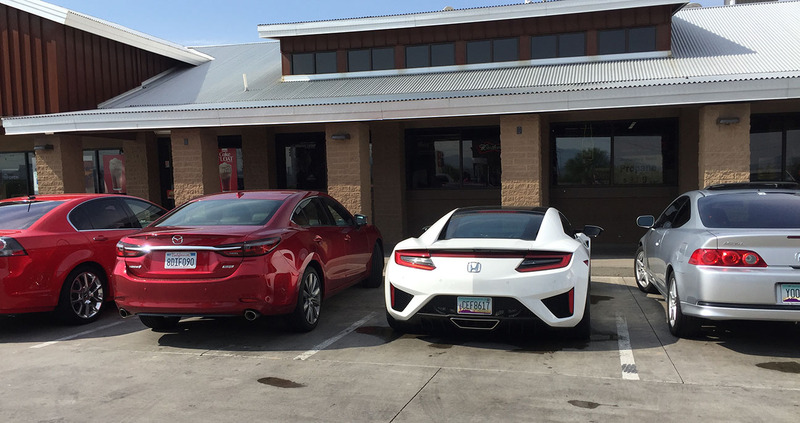 I took the ILX to southern Utah over the weekend and competed in my 12th St. George marathon. For about the first half of the 26-miler, it rained. Adding to the struggle, my meager 3 miles of training didn’t amount to adequate preparation (shocker!) and my pace-per-mile reflected that. 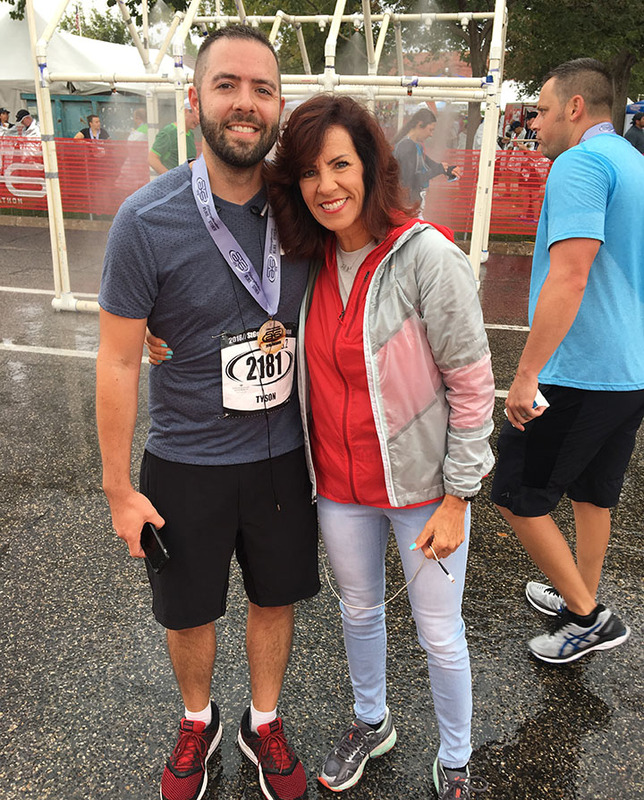 In all it took me nearly 5.5 hours to finish, but my mom was there waiting for me at the finish proudly. 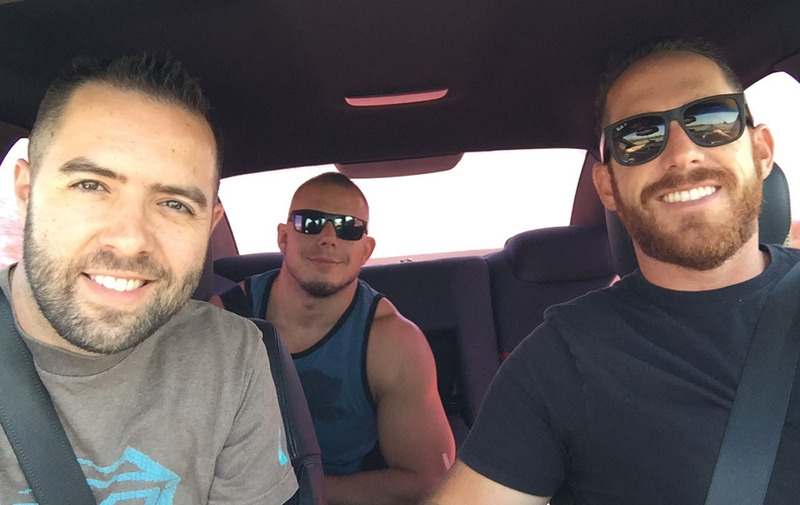 The ILX rolled 208,000 on the way to Utah Thursday evening. 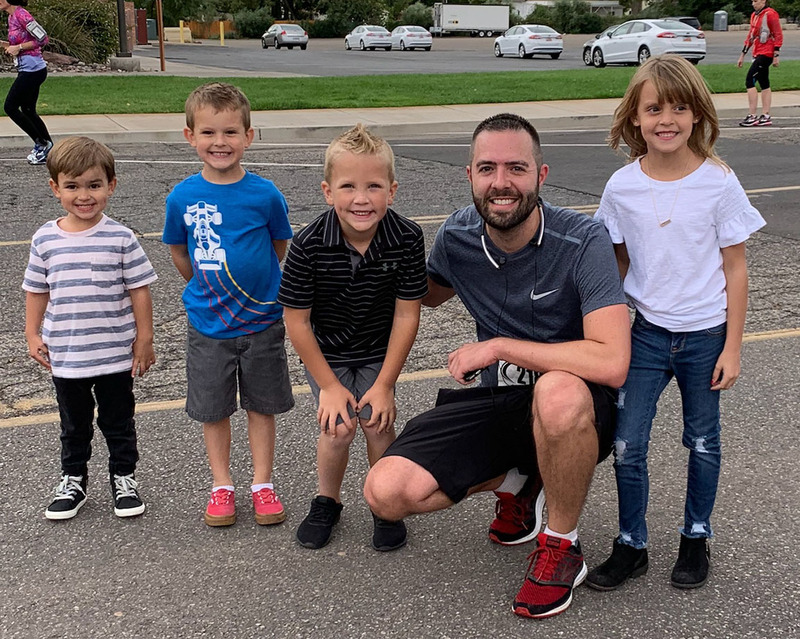 My niece and nephews made a great cheering squad at about mile 25 when I passed by them (slowly). Mom sat this one out but spent the day volunteering instead. 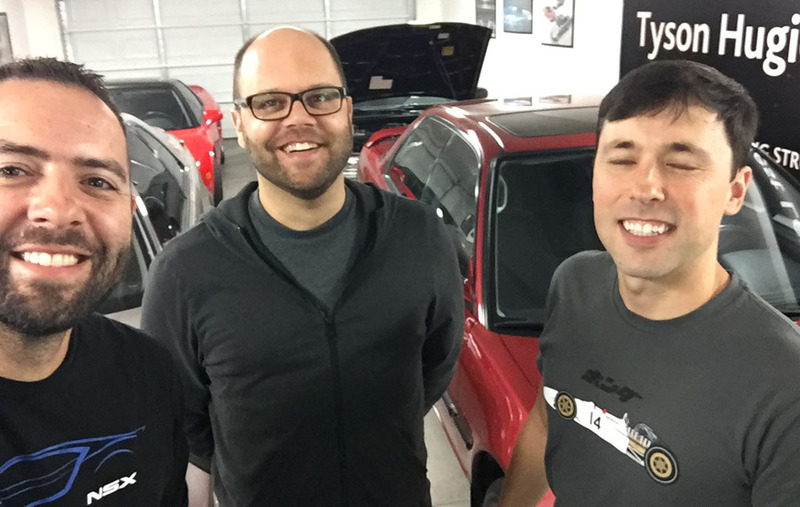 Over the last few weeks, I’ve had some ‘car fun,’ including a visit from my friend Michael who has a Fathom Blue ILX. 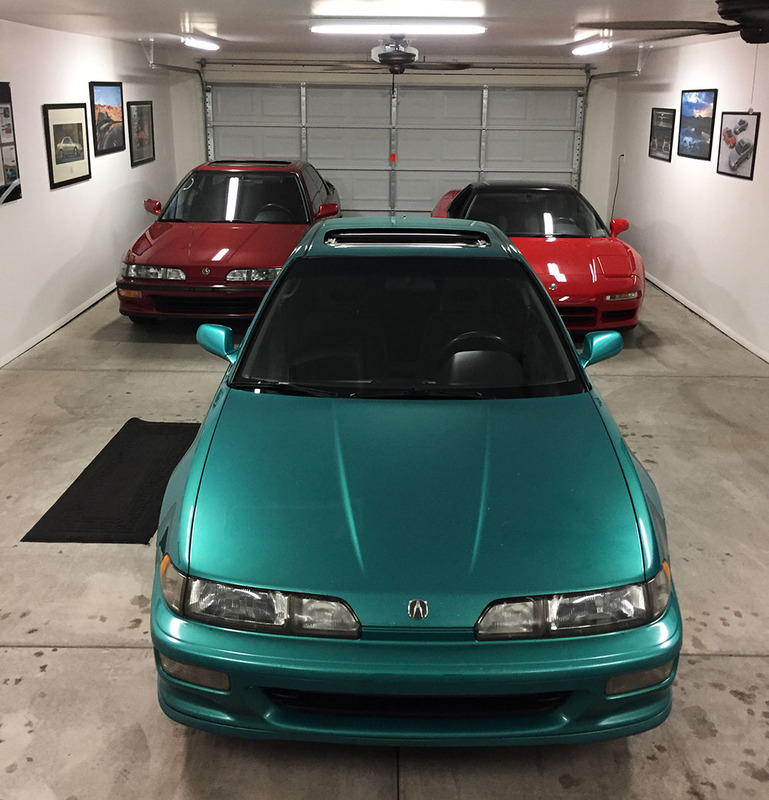 A couple of fourth-generation Honda Accords made their way to the house (for short- or long-term, not yet known) but I’m doing a bit of work on each one and enjoying getting to know the platform. 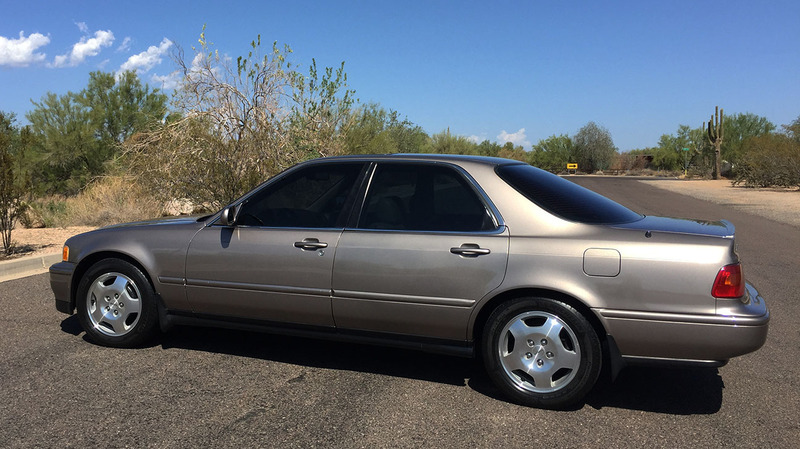 This particularly nice one is from a one-owner history right here in the Phoenix area. While showing over 136,000 on the odometer, it easily looks like a car with < 50,000 miles on it. 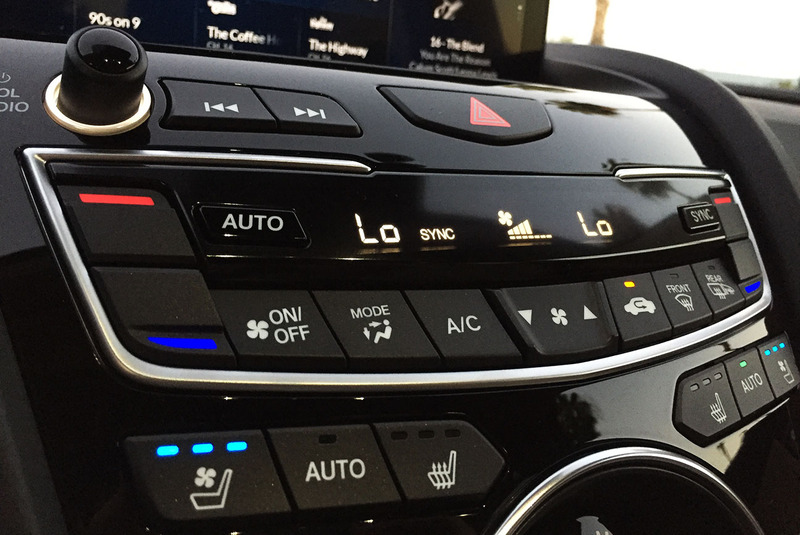 Plus, what’s not to love about those automatic seatbelts. Just like the ones in my two Integras. This Mulberry Pearl car was featured on my YouTube a couple of months ago and I was shocked how quickly the video took off. It’s now been viewed over 50,000 times and commented on over 700 times. 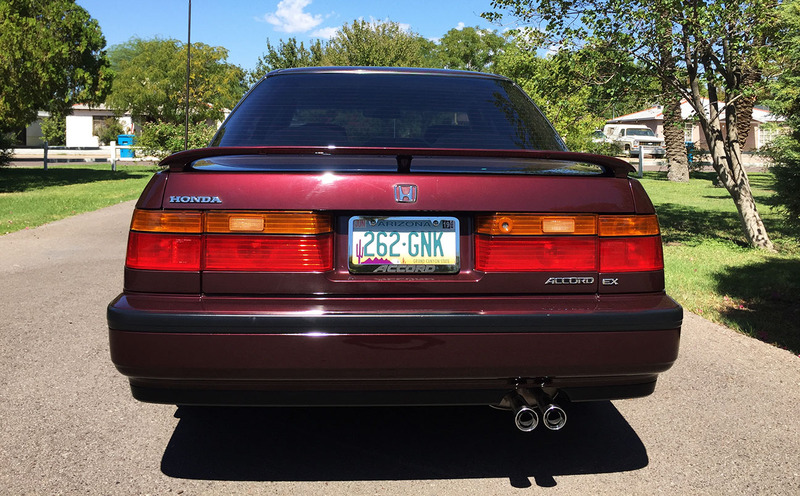 People have a lot of love for these old Accords! 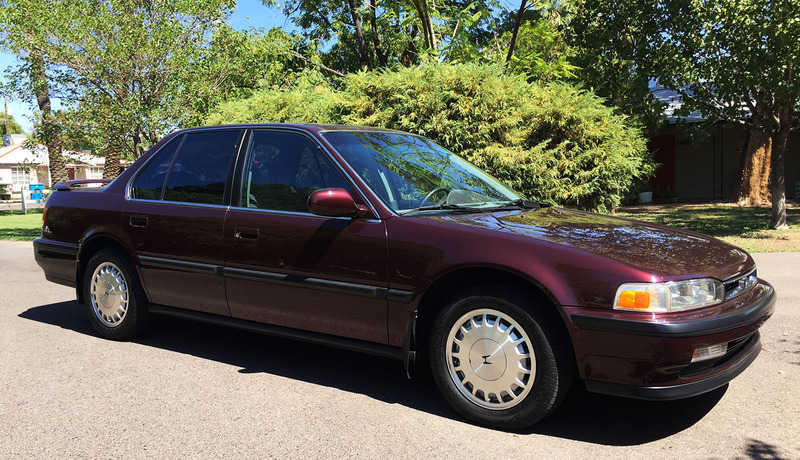 The second Accord is this 1993 SE with 302,000 miles on it. While it runs and drives well and has a very solid background & maintenance history, it does need some cosmetic and mechanical help so I’ll be putting some effort into it as time permits. My friend Brad and his roommate Richard from Chicago stopped by. Brad, sorry to post this one with your eyes shut! But glad you were able to make a fly-by visit in Phoenix on the tail end of your 2,000-mile national park tour! By the way, our weather cleared up right after you left. 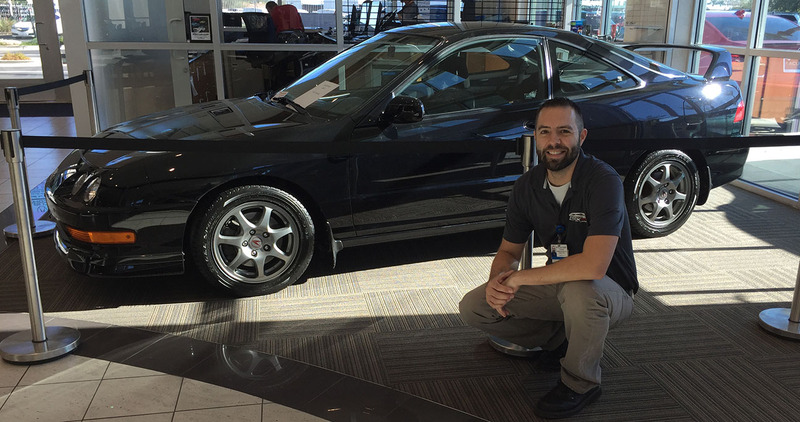 I visited Acura of Tempe yesterday to drop off my NSX for a new timing belt & water pump, and took the time to admire my friend Leon’s 2001 Integra Type-R which is on display in the showroom. You’ll recognize Leon’s car from JCCS 2018 in Long Beach recently. My loaner while the NSX was in for service was this new TLX V6 SH-AWD with only 2,000 miles on it. Do you like it? 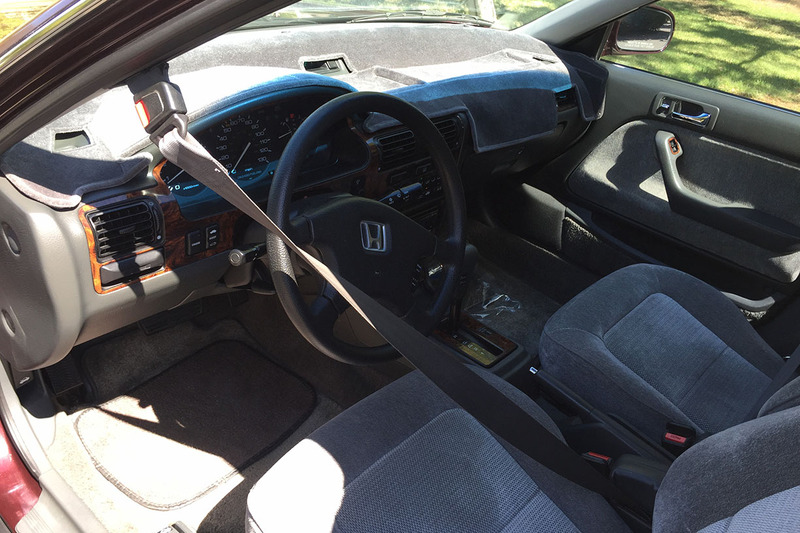 I thought this article was a worthwhile read on a guy who hit 600,000 miles on his Accord, if you get time to check it out. Finally, here are some cool ads someone sent me for the Vigor. Acura’s marketing agency back in the day really had some skill. 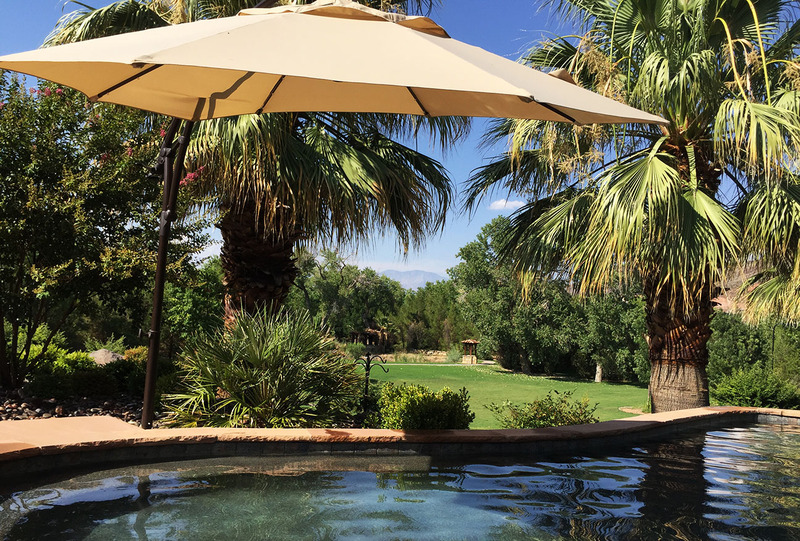 Let’s get up to speed on some of the last few weeks’ activities as summer winds down here in Arizona. In late July, some friends and I traveled to southern Utah for a few days at my brother’s newly-remodeled home. The pool was pretty inviting! Headed northbound in Kyle’s 2008 Pontiac G8 GXP 6-speed. 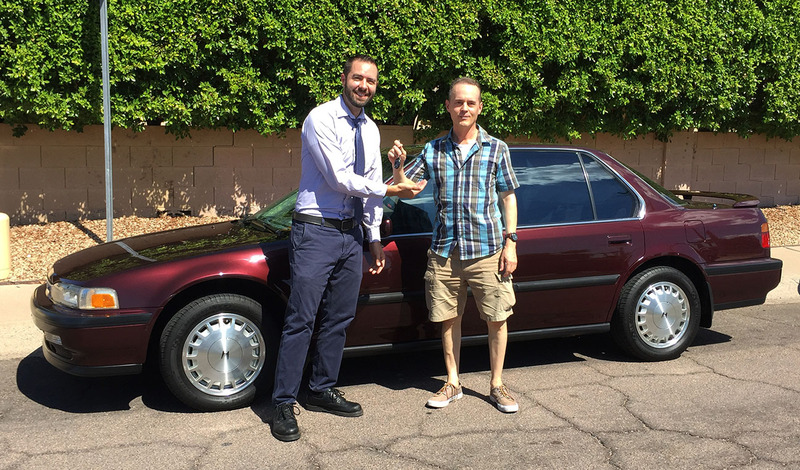 James drove up in his tester of the week, the 2018 Accord. 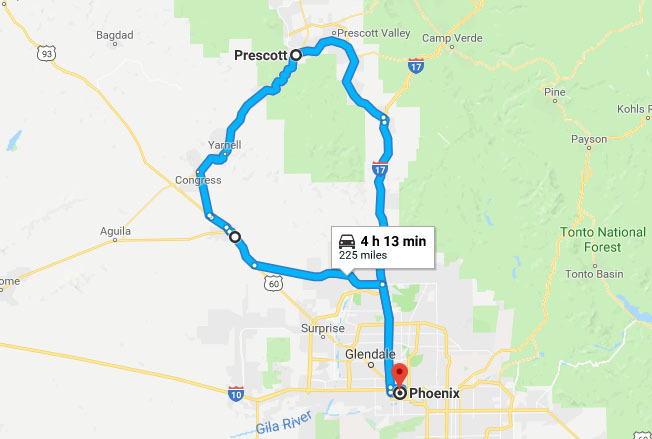 We also took a quick jaunt to the mountains of Payson, Arizona a couple of weeks ago with 8 attendees and 6 cars, including 3 Acuras, a Mazda, a Pontiac, and an Infiniti. Leading the pack in power and presence was Vlad’s 2017 NSX, recently customized with performance exhaust downpipes from Science of Speed. 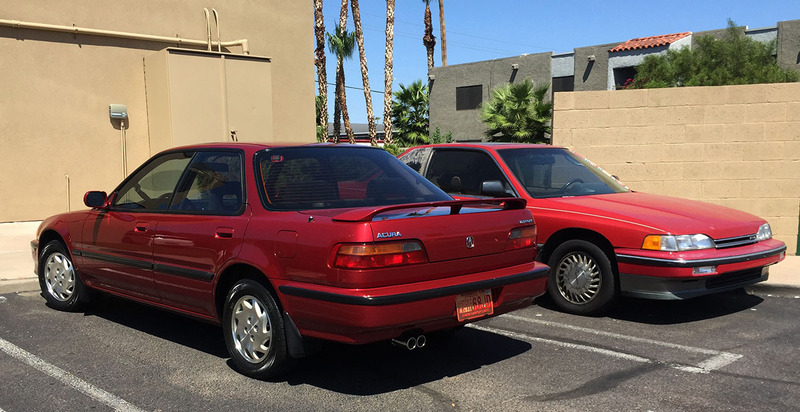 I was happy to bring up the tail – my 1994 Vigor is a fun and nimble machine, but its tired suspension, old Michelins, and 176-horsepower motor were no match for the others in this group. 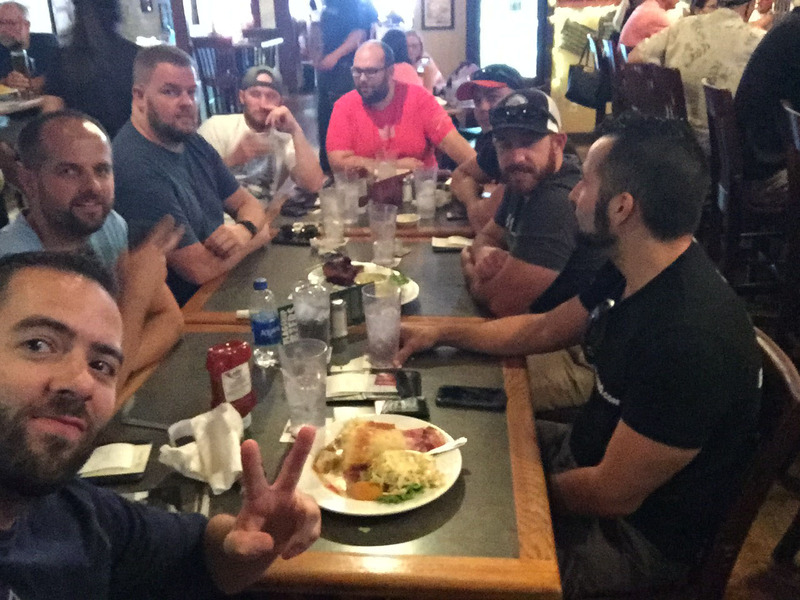 Lunch at Prescott Brewing Company. Fueling up at the Mobil in Wickenburg. 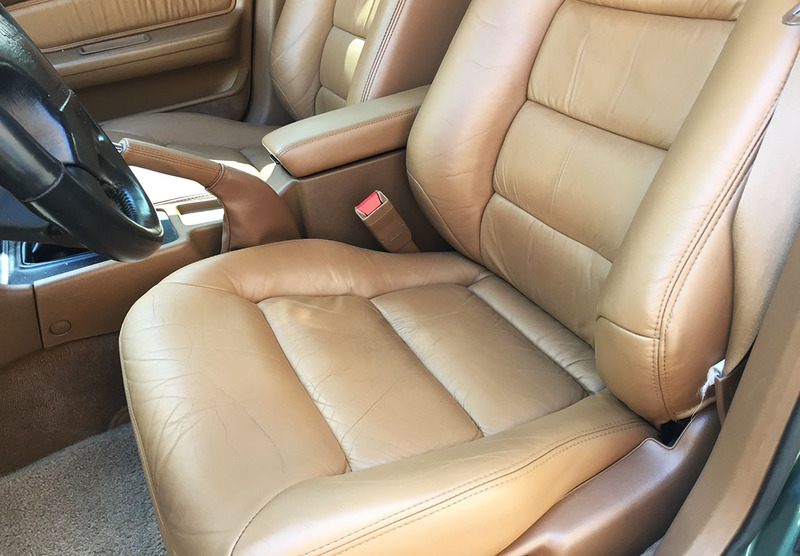 After 3 years of ownership, I finally had the Vigor’s upholstery worked on. The driver seat “Cognac” leather was torn along the side bolster, so I had Naro from TrimFit in Phoenix clean it up for $250 last week. He succeeded masterfully. I also got around to having a lot of small dings removed from the 1992 Integra GS. Jorden of Anytime Dent had the car for about 4 days and cleaned up every panel. It came out looking perfectly. I snagged a pic while at Starbucks parked next to a 1989 Legend. 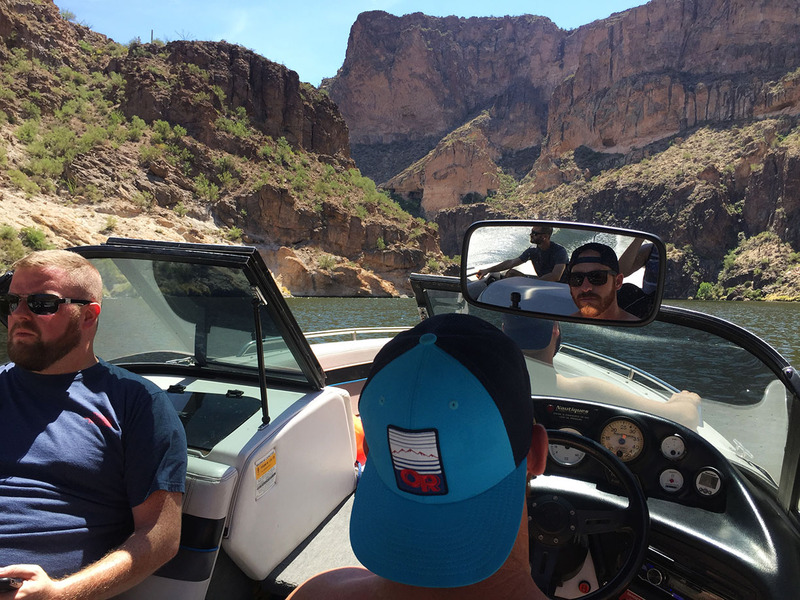 This past Saturday, we took Kyle’s new (well, 1993 model year) boat out to Canyon Lake which is about an hour away from my place. 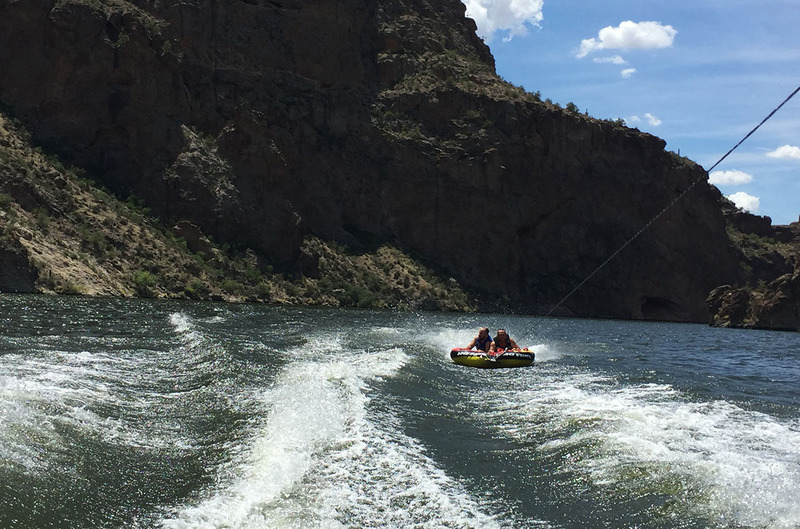 Contrary to popular belief, Arizona does have its fair share of lakes and waterways. 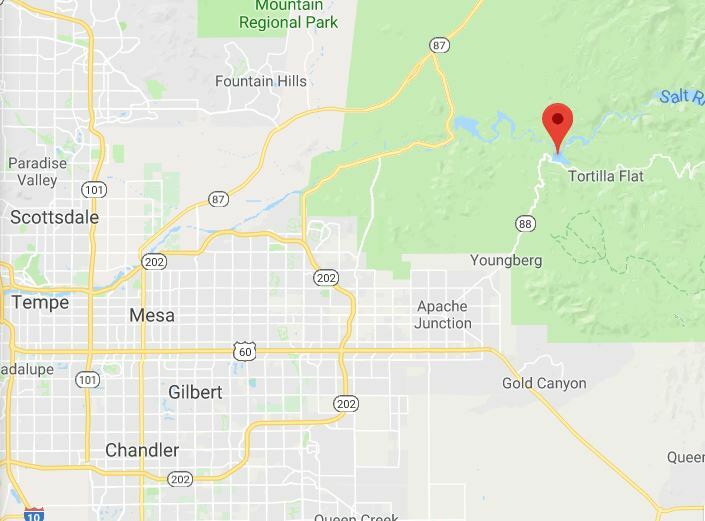 This one is a reservoir formed by the Salt River which is Phoenix’s primary water supply. 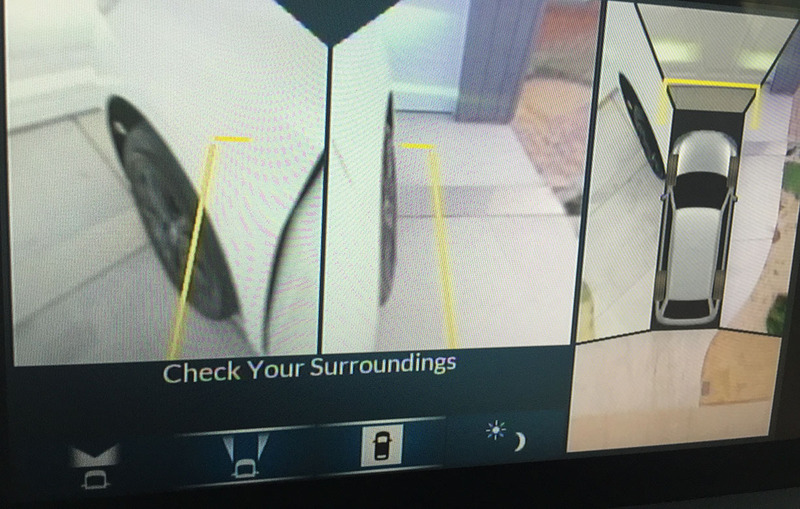 The spot is noted by the red marker at top right here. I tried my hand at riding the tube. Two days later, I realize I must have been clutching to it pretty aggressively because my arms are realllllly sore. 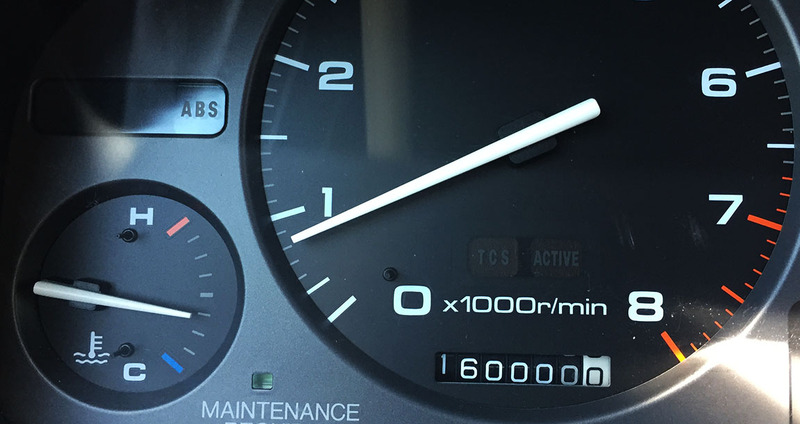 And yesterday, I took the Legend GS to church and it rolled 160,000 miles. 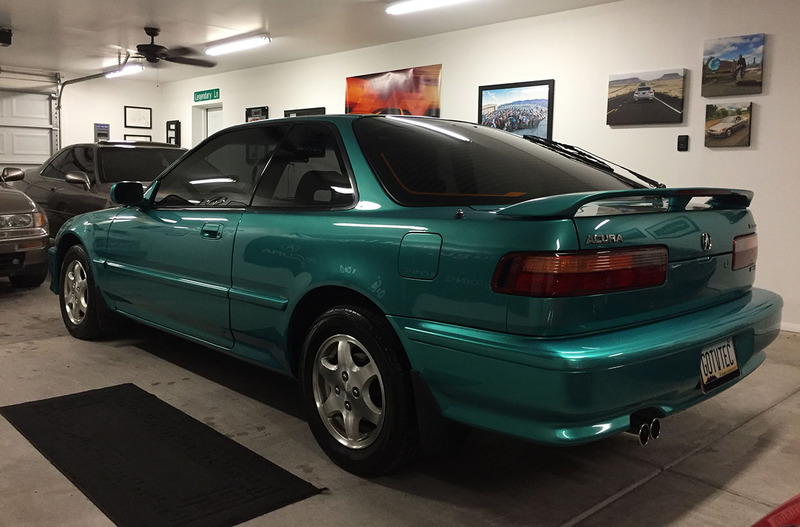 My Integra GS-R is getting ready for a trip to the California Coast. It will be featured as one of about 40 cars in Pebble Beach at the inaugural “Japanese Automotive Invitational” show this Saturday 8/25 and Sunday 8/26. The space belongs to Infiniti, who has partnered with Motor Trend to bring everything together. 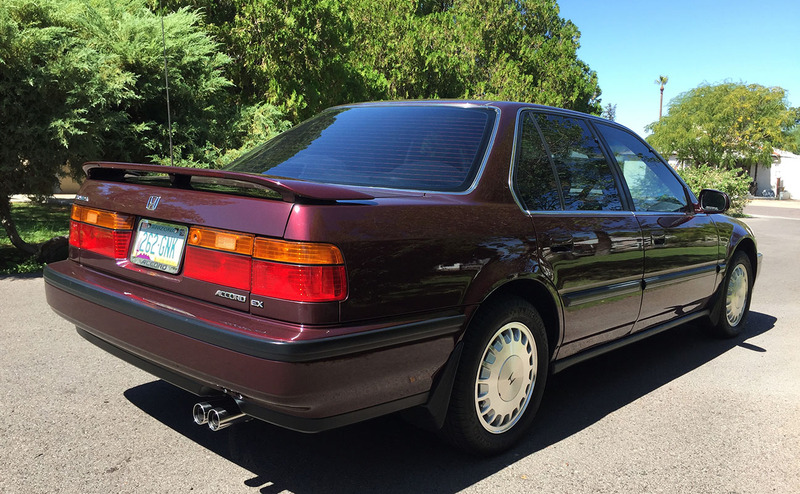 Participating vehicles are being brought in from across the nation, including an exceptionally clean 1990 Legend LS coupe from Florida with only 54,000 miles on it. Pick up is anticipated for sometime this week! 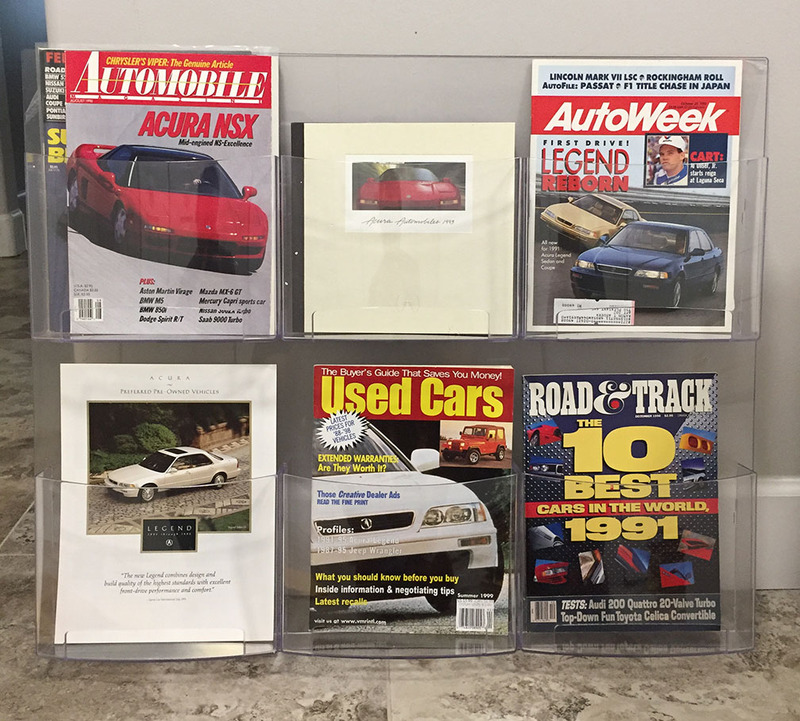 I’ll be attending part of the ‘car week’ activities as well, as I’m scheduled to attend an Acura private reception this Thursday at the Carmel Valley Lodge. I’ll be flying in and out of San Jose. I’ll bring you a full report next week. That’s a wrap on recent news for now! Check out this plexiglass magazine display that I picked up! Soon to be fastened to a wall inside my house or in the garage. Looks like a car-party at my house. Beautiful Payson, AZ summer afternoon. Evening meet-up with Michael (ILX) and a few other folks at Tempe Town Lake Marina. Refined, Dynamic, and Xceptionally equipped. I guess that’s how I’d define the acronym that Acura pinned on its latest version of the crossover that so many have come to know and love. 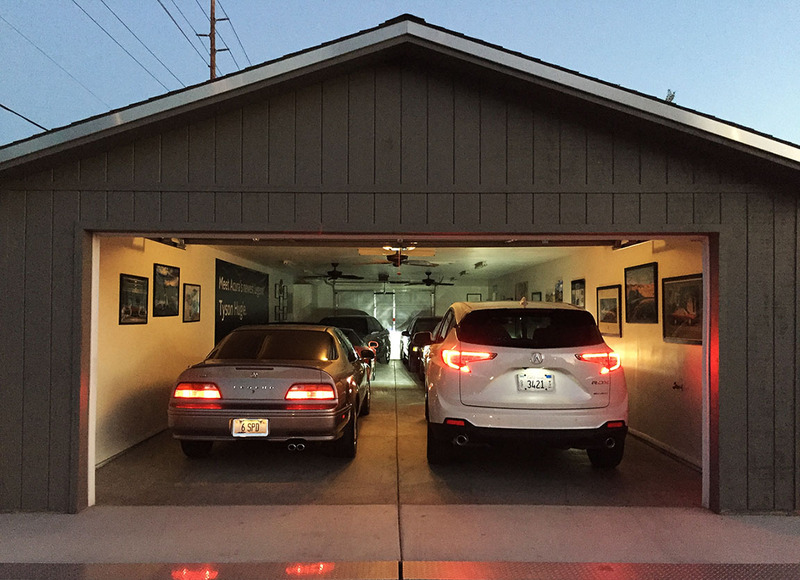 Does it look at home in this garage? 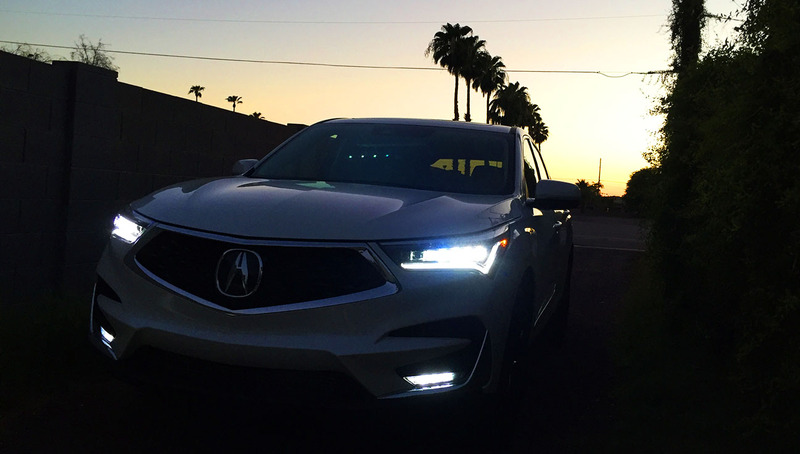 The Acura RDX, now in its third generation, is a power player for the Acura brand. It sells over 50,000 units per year. That success is impressive given the competitive segment that the RDX plays in: It seems, everyone is trying to get in on the crossover game. 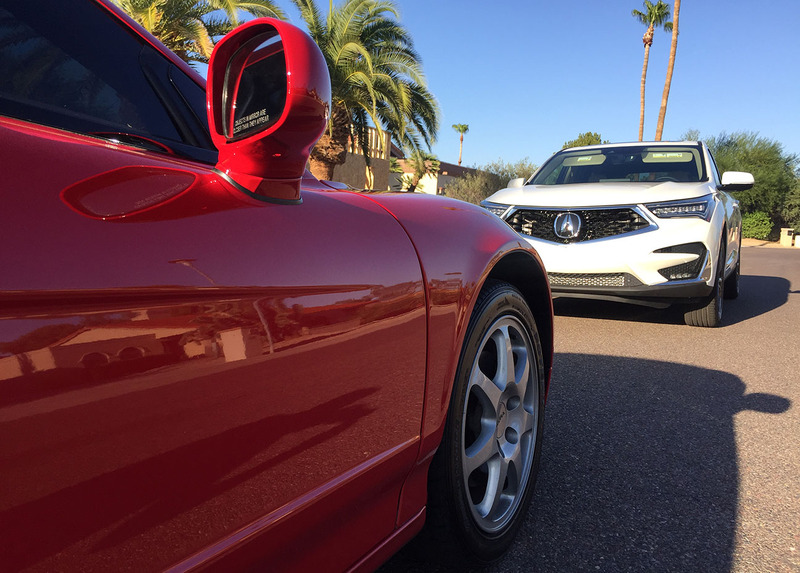 Over the years, I’ve been able to see firsthand the evolution the RDX. Back in 2016, I put a prior-gen model through its paces on a mountain climb. 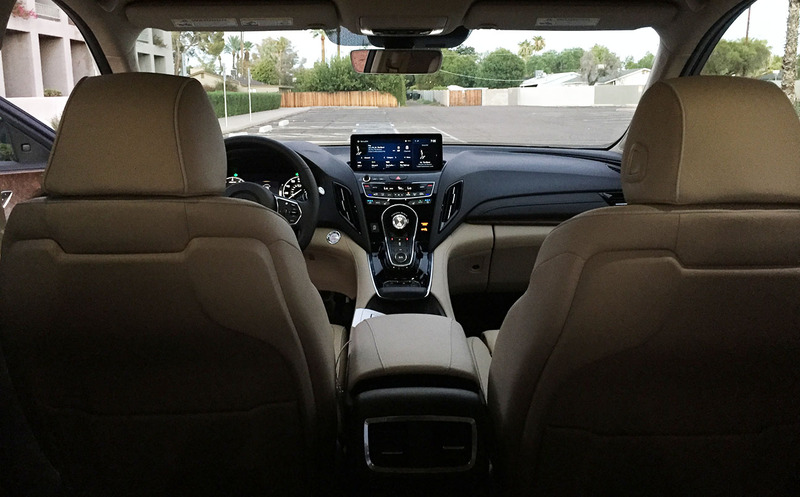 Building each upon advancements in technology since the RDX first launched in 2007, the 2019 model year version was first shown at the North American International Auto Show in Detroit in January 2018, and it went on sale six months later. You can see the differences between the third and second-gens here. 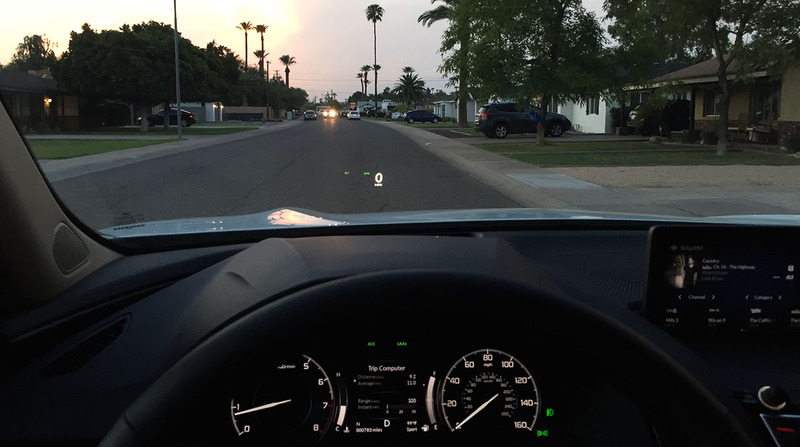 I got my hot little hands on the first one in the Phoenix area media fleet this past Wednesday. It only had 775 miles on the odometer when I turned the key. Or rather, pushed the Start button. This is a level of tech I’m not accustomed to! 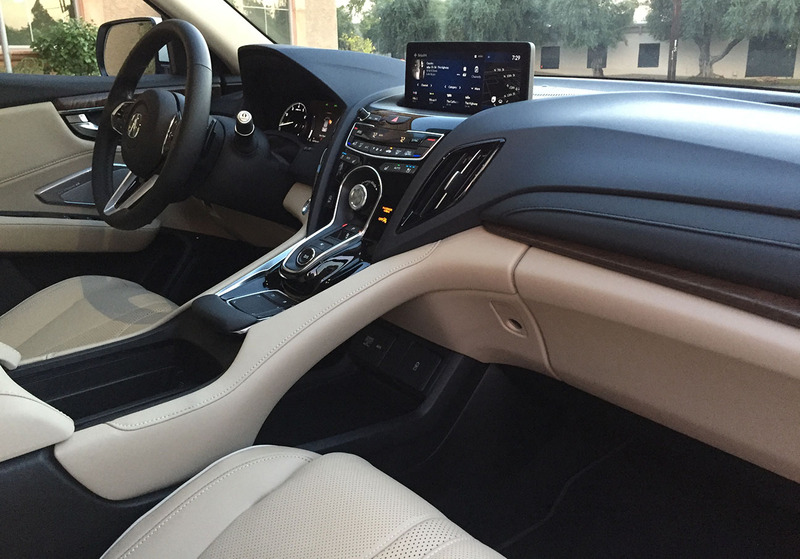 You can practically get a whiff of the new car smell just from looking at the interior. What if they made scratch & sniff computer monitors? 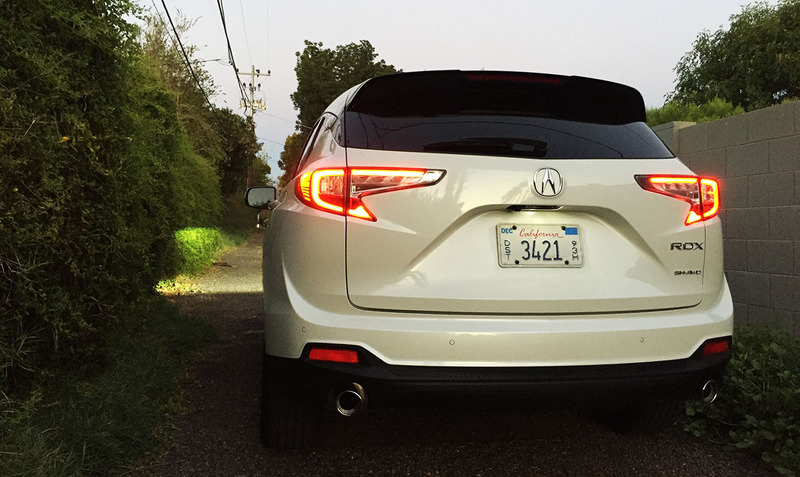 Getting settled into the RDX, I enjoyed the step-in height right off the bat. 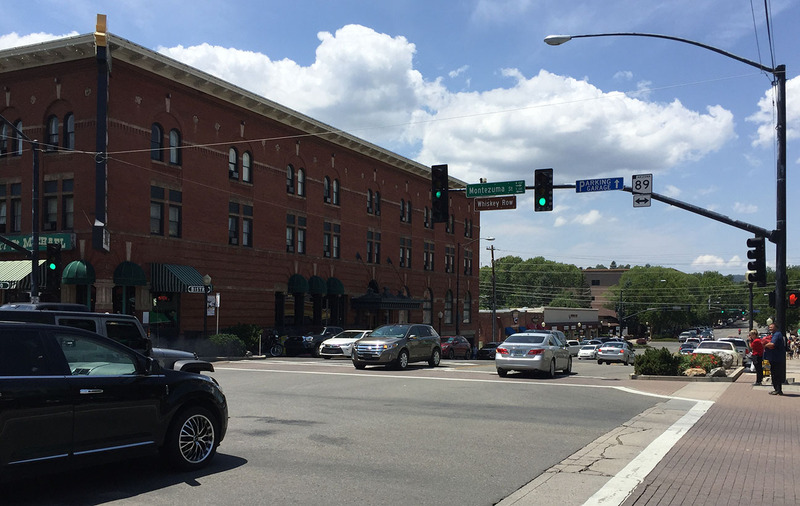 I’m accustomed to riding low to the ground, so this was a nice change of pace – especially when I needed to throw my backpack and laptop into the back seat as I left the office. Speaking of the seats, the driver’s seat was ergonomic perfection – especially when cranked up to Level 3 on the ventilation setting. It is August in Phoenix, after all. 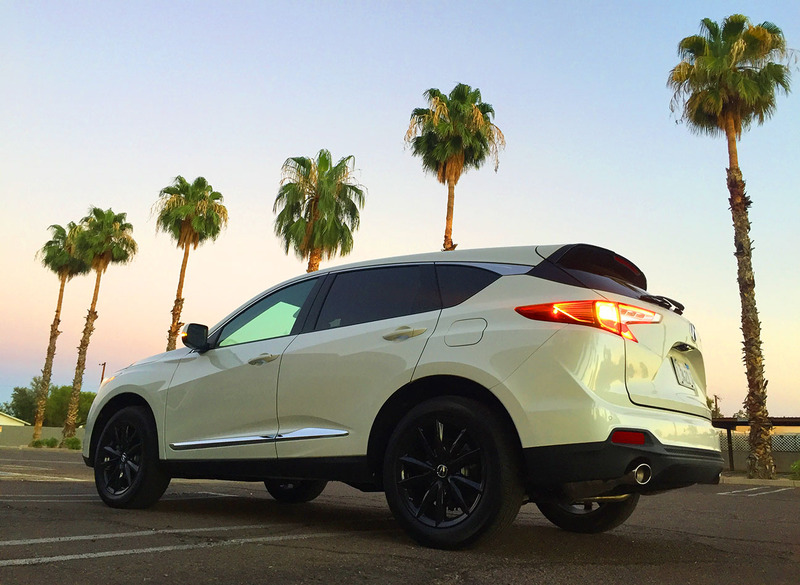 The RDX is about as well-rounded as any vehicle can be. It exhibits polite road manners, it’s easy to maneuver and park, scoots down the road with plenty of power, and offers up some great utility for folks with active lifestyles who need that extra cargo room or ground clearance from time to time (in my current collection of 7 Acuras, none have All-Wheel-Drive capability – sadly). Over my seven days with the RDX, I had time to capture perspectives of both positive and negative nature. Maybe it’s easier to just summarize a few of those points in list form. Performance is the name of the game, with the RDX producing 272 horsepower (that’s two more than my 1992 NSX!) out of a 2-liter turbocharged 4-cylinder. A ten speed automatic transmission (again, outdoing the NSX with double the gears!) puts the power to the ground lickety-split. I found “Sport Plus” mode to generate a surprisingly quick acceleration experience for a vehicle that weighs nearly 4,000 pounds. I got a kick out of the graphics on the Snow mode setting. It’s worth mentioning that as an audiophile, I greatly appreciate the efforts made to create a great sounding listening experience in the cabin. I was provided some ELS Studio 3D audio files on a USB stick that I played at max volume. 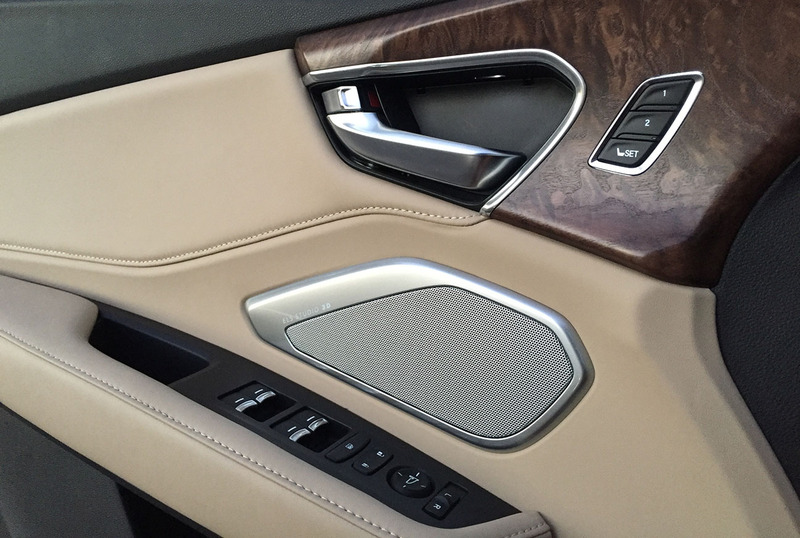 I can say with a certainty that Dire Straits’ “Money for Nothing” sounds at least as good in the new RDX as it sounded in my old TL Type-S with a DVD-Audio sound system. 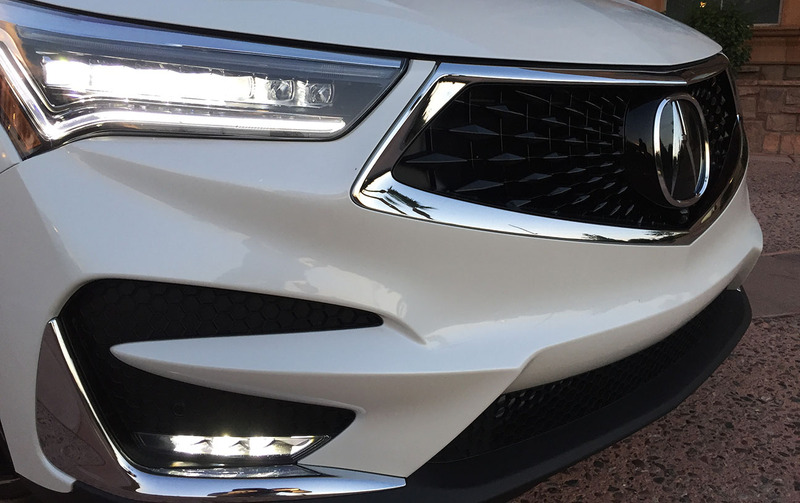 Acura’s return to its “Precision Crafted Performance” mantra from the brand’s early days is evident here, especially considering the RDX can be outfitted in A-Spec. The A-Spec trim has always been known as the sportiest, and offers up suspension & handling updates among other features. 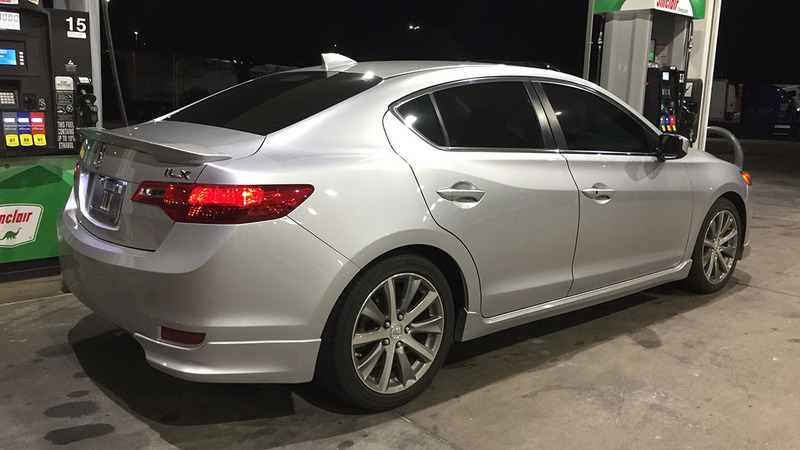 Tipping the cash register at just over $48,000, this RDX was highly equipped, but still offers a nice value for those wanting a well-rounded package. 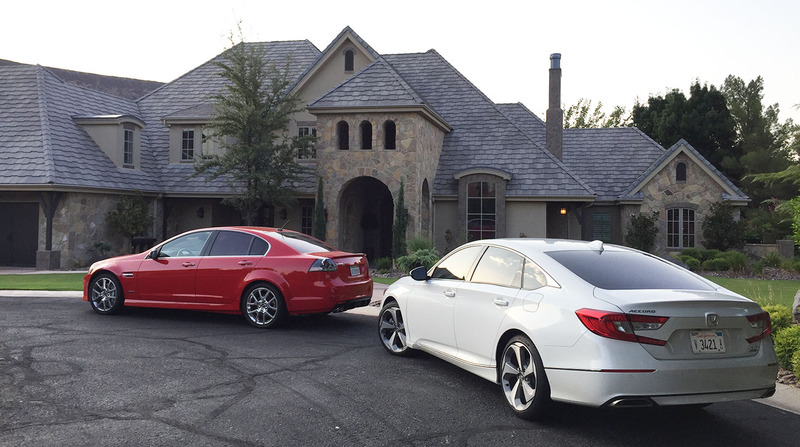 I thank the folks at Acura for the chance to put this one through its paces for a few days! I’ve uploaded a video capturing some of my experience with it. 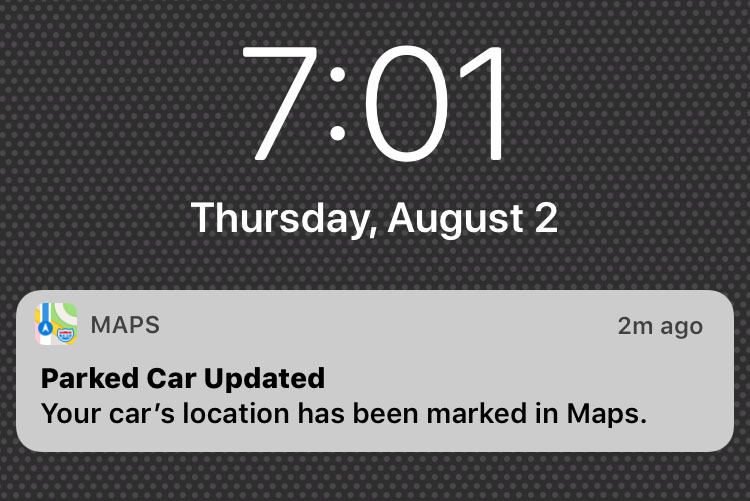 When I parked the RDX and walked away, I received a notification about where it was located. This could be handy at concerts, in unfamiliar cities, etc. Roommate took this while I was playing Musical Cars on Saturday morning. The RDX felt right at home swapping spaces with some fellow Acuras. Out and about on Saturday with Greg’s 1995 NSX. 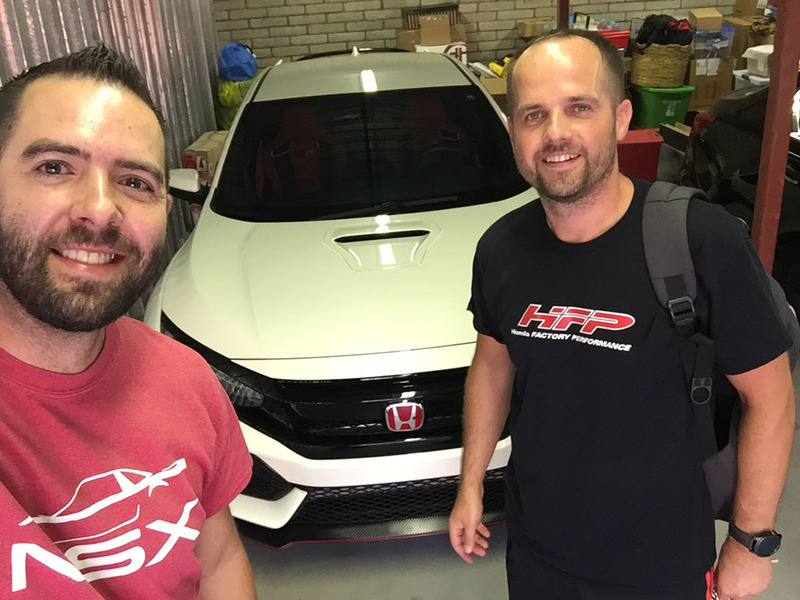 Visiting Vlad who has a Civic Type-R. He liked the RDX, too. 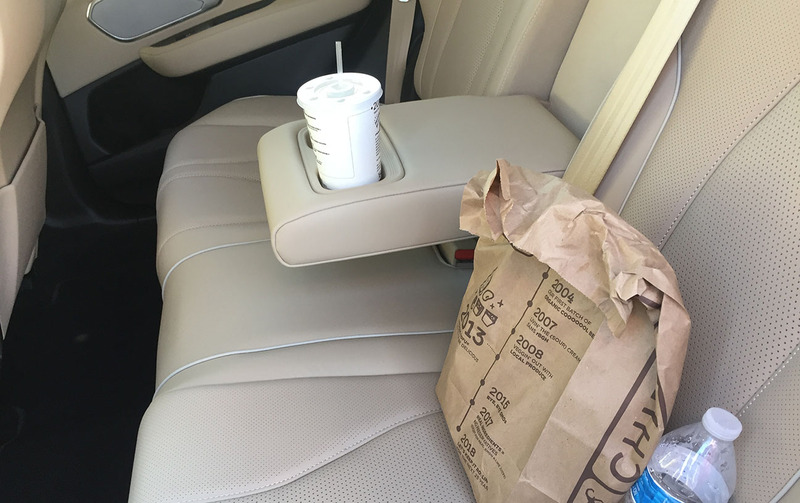 Safe seating for my Chipotle take-out transport! 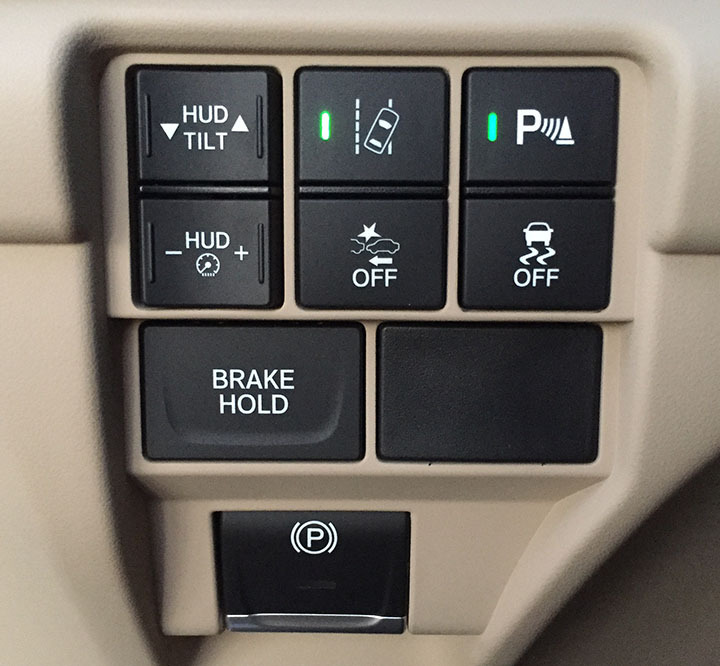 Lots of controls down here to the left of the steering wheel. 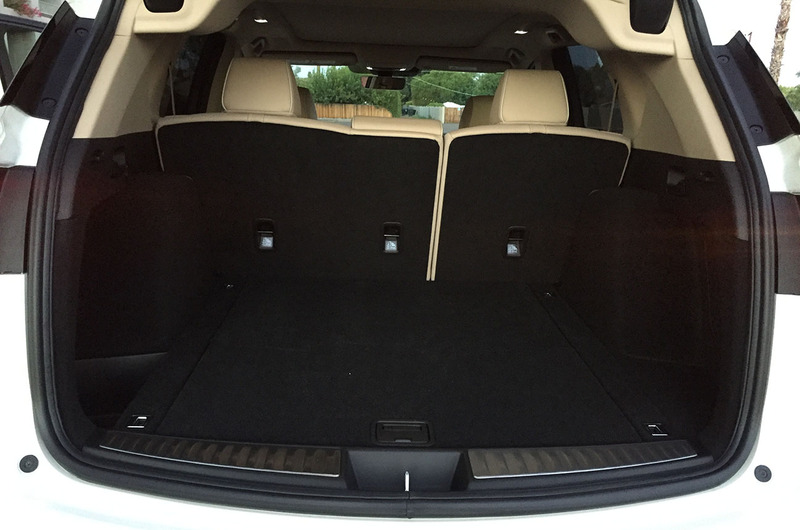 And the cargo compartment itself. Pretty roomy! 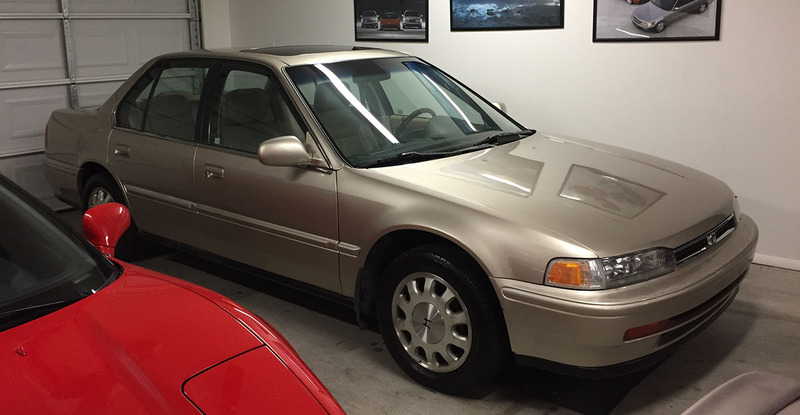 Bonus material – I have another Honda at the house. This one needs some love. You are currently browsing the archives for the Accord category.